The Terra Vina Hotel is located in the City of Santa Cruz, in Chile. 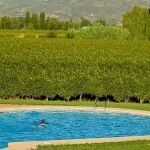 This ancient colonial hacienda is known for its views towards the wine region and its pool. This colonial-style mansion has 19 double rooms. There are several individual rooms, double rooms, twin rooms, triple rooms and a large suite. The rooms are decorated with hand-woven quilts and paintings by local artists. The interior of the hotel is decorated with wicker furniture, terracota tiles and wooden beams. Each room has a private patio with views towards the wineries. All rooms have oak floors, and the bathrooms are decorated with colourful ceramic tiles. There are large balconies with wicker chairs where guests will be able to enjoy the views. 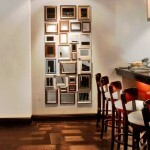 All the furnishings were made by local artisans using regional materials. All Single rooms have a private bathroom with a shower cabin. There is Internet access and a television set in each room. The balcony has views towards the wineries. Price is around 99€ per person. The Twin rooms have twin beds. The Double rooms are larger and have a double bed. These rooms have a balcony with views towards the garden and the vineyard. Price per room is around 118€ per night. The triple rooms have a large double bed and a single bed. These rooms are larger and have a living room area. The price per triple room is around 132€ per night. The suite is decorated with wooden furniture and has a large kingsize bed. There is a large living room with armchairs. 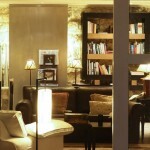 These suites have a price of 218€ per night. The hotel has its own breakfast room and a cellar. 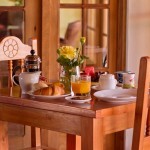 Guests will be able to enjoy breakfast and a large selection of wines. All breakfasts are buffet breakfasts. A variety of wine and cheese is served every afternoon. There is a path that leads to a nearby Italian restaurant, the Vino Bello. This restaurant is known for its wide range of Italian dishes cooked using local ingredients. This hotel has its own private vineyard and a pool. There are several hammocks next to the pool, from where you will be able to enjoy views towards the Andes and the Colchagua valley. The hotel has several halls that can be rented by guests who want to celebrate private events. Each conference hall is decorated with wooden furniture and has views towards the nearby vineyards. All rooms and halls have Internet access. The hotel is located in the city of Santa Cruz. This city has many museums worth visiting, most of them housing vast private art collections, and there are several vineyards offering wine-tasting events close by. The hotel organizes a lot of events for guests. Guests will be able to explore the region in a horse-drawn carriage and participate in themed activities. 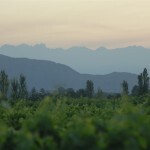 Those who enjoy horse riding can spend a day exploring the Colchagua valley. Hikes are organized around the nearby Andes mountains. 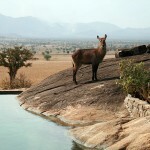 The Apoka Safari Lodge is located in Uganda. This lodge has ten villas that were built using traditional materials and decorated with hand-carved wooden statues. Each one of the ten villas houses a suite. The villas are covered by canvas. 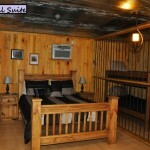 Each suite has a double bed with a wood bed that was carved by hand. 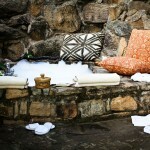 Each suite has a terrace, and the terrace has a large stone bathroom that makes an ideal plunge pool. 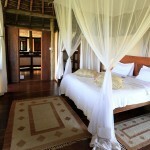 Each one of the villas has a double room with a double bed covered with a mosquito net. The bedroom and the living room are decorated with hand-woven carpets. The living room area of each suite has a desk with a chair, a sofa and several leather armchairs. Each bathroom has a double sink and a shower, and the bathroom leads to a private terrace with a bathtub. The terrace has views towards the golden hills the region is known for. The hotel is decorated with cream-coloured furniture and brown carpets. All the decorations were hand-crafted by local artisans. The hotel was built using local natural materials. Price is around 220€ per room per night. Some of the villas have been transformed into dining halls. Guests will be able to enjoy breakfasts, lunch and dinners directly at the hotel. There are spaces for breakfast in the hotel gardens. The hotel offers a variety of local dishes and fig jam made from figs grown on the hotel grounds. The hotel’s territory has a swimming pool made out of a dingle block of stone. There are several hammocks next to the swimming pool. 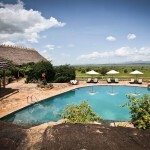 The swimming pool has views towards the African Savannah and the river. The hotel grounds hold a large observation tower from where guests will be able to observe local animals. The lodge has Internet access. There is a library and several lounges. The hotel offers a variety of guided trips and tours around the region. The hotels staff can prepare picnic baskets for those guests who want to visit nearby national parks. 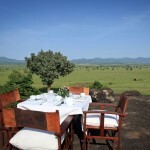 The hotel is located in the Kideko Valley National Park. Guests will be able to enjoy trips and safaris around the national park and nearby towns. Guests should not miss trips around the African Savannah. There are 4×4 safaris ideal for guests who want to see local animals. Guests will be able to see antelopes, boars, buffalo and other animals. The nearby hills are home to elephants and leopards. The traditional villages are worth visiting: Karamajong is a village where guests will be able tosee ancient rituals. Guides always accompany guests on the tours. The Diamonds Old West Cabins Hotel is located in the state of Arkansas, in the United States. 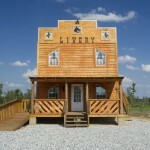 The hotel is known for being a recreation of a Wild West town, complete with a stable barn and a bank. 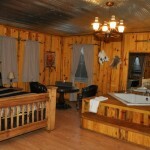 The hotel has six log cabins decorated in a traditional, Old West style. Each cabin has a double room with a double bed and a private bathroom. The bathrooms have a jacuzzi and a shower with shower heads designed to reduce wasting water. Each cabin has Internet access, a television set, a private terrace with several rocking chairs and a grill next to the picnic table. 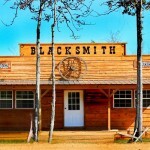 The Blacksmith’s cabin has two rooms. One room has a queensize bed and the other one is a loft with two single beds. The living room has a large sofa bed and a kitchen. The suite is decorated with hand-forged metals, horseshoes and similar decorations. There is a large fireplace in the center of the suite, which is decorated with yellow pine-wood and wooden floors. Price is around 152€ per night. 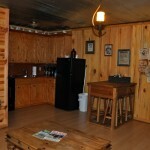 The Sheriff’s cabin is a cabin with two suites. The first suite is located on the ground floor and has a queensize bed, a bunk bed, a bathroom with a shower and a jacuzzi, and a basic kitchen. This part of the house is decorated with metal bars. The second suite is located on the top floor and has a large kingsize bed. The suite is decorated with Wanted poster and Sheriff’s badges. Each suite has a price of 105€ per night. One of the cabins is an ancient mansion. One of its floors was transformed into Miss Kitty’s Brothel, and has a queensize bed in the main room and a bunk bed in the loft. The other floor holds Madam Hollander’s House, which has a queensize bed and a sofa bed. Each suite costs around 105€ per night. The Crazy Diamond Saloon is a two-storey house decorated with a bar area and liquor bottles. Each room has a double bed and a bunk bed, and price is around 86€ per night. The top floor has a suite with a wooden kingsize bed and a fireplace. 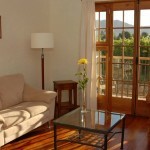 This suite has a view towards the mountains and a price of 120€ per night. Another cabin is the Stable cabin,a two-storey house with a suite that can accommodate up to six people on each floor. The ground floor is adapted to guests with mobility issues. Each suite has two double rooms and a living room with a double sofa bed. The ground floor is decorated with horseshoes, and has two queensize beds, a bathroom and a living room with a kitchen and a terrace. 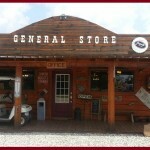 The General Store is a suite located on the top floor. This suite is decorated with paintings of the Old West, cowboys and horses. The suite has a queensize bed and a bunk bed. Price varies between 105 and 120€ per night. The Bank cabin is a two-floor wooden house. The ground floor has a living room with a chimney and leather sofas, a kitchen with a bar area and four chairs, and a bathroom with a shower. The top floor has a bedroom with a queensize bed and another room with a bunk bed. There is a porch with views towards the rest of this Wilde West town, and price is around 182€ per night. The hotel’s restaurant is located inside a separate cabin. Here guests will be able to enjoy traditional regional dishes and a variety of roast meat. The restaurant is decorated with recycled material and ecologically-friendly products are used for cleaning purposes. A variety of events can be celebrated at the hotel. Each cabin can be rented to host events and private parties. The hotel can organize group tours around the nearby State Park. The hotel is located close to the town of Murfreesboro, in the state of Arkansas. The Ouchita mountains are located nearby and are an ideal destination for a day trip. The Crater of Diamonds State Park is located a short distance away, and nearby towns organize a variety of cultural events, including Civil War recreations. Guests will be able to visit the nearby Greeson Lake. Lake Greeson and the Little Missouri River offer a variety of water sports activities. There are several hiking trails around the state park and the region. The crater offers spectacular views towards the area. There are several ancient diamond mines worth visiting. Solar do Castelo is located in the very center of Lisbon, in Portugal. 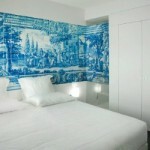 This hotel is part of the ancient medieval castle grounds built in the historical Alfama district. This hotel is a large, two-storey mansion located in what used to be the kitchens of St George’s Castle. The mansion has twenty suites, each one with an antique décor and a bathroom. There are rooms with two twin beds and rooms with a large double bed decorated with embroidered cushions. The hotel’s twenty rooms are located in the Alcaçovas Palace, on the grounds of Saint George’s Castle. The suites are decorated with medieval-style paintings and tapestries, gilded statues and antique furniture covered in leather. Each room has a large double bed, a bathroom with a shower, Internet access and an LCD television set. The bathrooms provide bathrobes and slippers for guests. These rooms have views towards the gardens and the patio. Price varies between 149 and 186€ per night. Saint George’s Hall is one of the hotel’s common halls, and the place where guests will be able to enjoy their breakfast. A selection of coffee, tea, fruit, jam and freshly baked bread is served at breakfast. 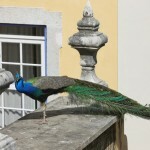 The hotel has access to one of the castle’s patios, which is usually filled with peacocks. Guests will be able to enjoy strolls around the gardens and the patio, which is decorated with Pombalina ceramic tiles. There is a business center with Internet access, faxes and photocopying machines located on one of the top floors. The hotel can be rented out for private events. The hotel can arrange a transport service to and from the airport. Private events can be celebrated in other parts of the medieval castle. The hotel is located on the territory of the Castelo Sao Jorge, a medieval castle in the ancient Alfama district of Lisbon. There is a tramway station next to the castle that connects the castle to the neighbourhoods of Alfama, Baixa, Barrio Alto and Chaido. Guests will be able to explore the rest of the ancient castle and the nearby medieval structures. One of the buildings houses the Architecture Museum. The patio and the hotel’s garden are filled with historical artifacts. Guests will be able to see an old water tank that used to provide the castle with water. 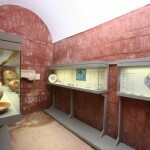 There is a gallery filled with pieces of ancient murals and tapestries. There are several restaurants where a variety of local dishes, including cod and pasteis de Belem, are served. 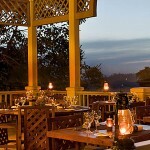 The Onsea House Hotel is located in Arusha, in Tanzania. This hotel is a bed and breakfast with a large terrace and a garden with a large swimming pool known for its views towards the Monduli Mountains. This bed and breakfast has several rooms and suites located in the main building and in the adjoining private cabins. All rooms are double rooms with a private bathroom. The main building is Onsea, and the nearby Machweo lodge has nine rooms and suites and its own spa. 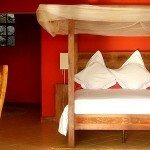 The rooms are decorated with traditional African furniture and hand-carved colonial tables and chairs. 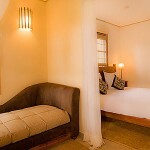 Each rooms has a double bed covered with mosquito netting and hand-woven bed covers. Bathrooms have a bathtub, a shower and stone sinks. Price varies between 249 and 333€ per night, and all rooms have complimentary WiFi. The Giraffe Suite is one of the hotel’s main suites, located in the main building. This suite has a large double bed and sunset.orange decorations. There is a lounge with a desk and chair. The terrace has views towards the hotel’s territory and gardens. Guinea Fowl is a double room decorated in earth colours that has a double bed and wooden furniture. These two suites have access to a private terrace known for its views. 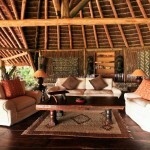 The verandah is decorated with sofa that were carved by hand and traditional Maasai chairs. There are several coal burners along the terrace. 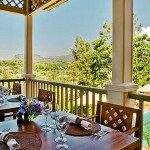 Guests will be able to enjoy lunch and dinner on the terrace. One of the bungalows has tow rooms, a living room and a large terrace. The Zebra room is one of these rooms, with a double bed, a living room, a private balcony and views towards the pool. The Rhino room is a double room with a living room decorated with dark wooden beams and a private balcony. These two rooms have acess to the living room, which has a sofa bed, and a kitchen. The bungalow can accommodate up to six people and is ideal for families and groups travelling together. Next to this bungalow guests will find the Elephant room, a double room with a separate living room filled with magazines and newspapers. 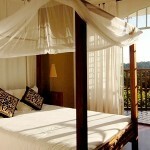 There is a double bed covered by a traditional Zanzibar mosquito net. This room is located on the upper floor of the main building. The hotel has a restaurant where guests will be able to enjoy traditional regional food cooked by a Belgian chef and a team of locals. The restaurant offers a variety of breakfasts, brunches, lunches and dinners. All dishes are prepared using fresh local products, and many are grilled and accompanied by local wine. There is a bar with a pool table next to the restaurant. The breakfast hall is located nearby, a large wooden hall where up to twelve guests will be able to enjoy breakfast and dinner. 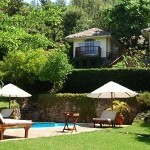 There is a traditional banda bungalow located next to the pool. a place where guests will be able to enjoy barbecues and lunches. There is a bar nearby offering a variety of champagne and cigars. There is a large swimming hotel that is illuminated by night. Guests can relax in the adjoining jacuzzi, the Hippo Pool, from where they will be able to enjoy views towards the national park. The hotel’s spa offers a variety of massages and other treatments. This hotel does not have its own conference room. Guests can organize private lunches and dinners for up to six guests on the hotel’s terrace and in the Palm Garden. There is a barbecue area next to the pool ideal for events, and guests will be able to taste a variety of traditional dishes, including Kuku na Chispe and Nyama Choma. This hotel is located in Arusha. Its location is ideal for safaris and for trips around the region, including trips to the top of the Kilimanjaro. Guests can explore the many national parks located in the area, ranging from the Arusha National Park and the Manyara Lake National Park to the Tarangire National Park. 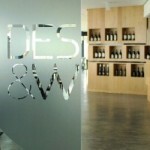 The Design and Wine Hotel is located in the port village of Caminha, in Portugal. The hotel used to be a wine cellar which was later on transformed into a hotel with wood-panelled rooms. Half of the hotel is located inside an ancient mansion, and the other half is located inside a steel building with solar panels. 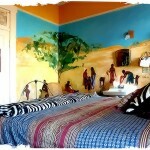 There are 18 double rooms and five suites, each one of them with its own bathroom and themed murals. The suites have lounge areas. 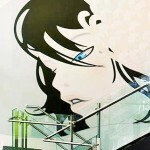 The rooms are filled with painting, graphic design, murals and other artistic decorations. There are rooms with two twin beds and rooms with a double bed. All rooms can accommodate two guests and have bathrooms with ecological bath products. Each room has a multimedia system with a flat-screen television set and PlayStation 3 game console. There is WiFi is all rooms. Some rooms have a balcony with views towards the vineyard. Each room is decorated with a mural, and no mural is the same. 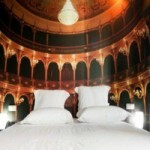 One of the rooms has a headboard decorated with a figure of a Greek statue. Another room has a mural depicting a black and white horse race. 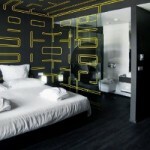 There is a room decorated in black with thin yellow lines. Price per room is around 80€ per night. The suite rooms cost around 160€ per night. The hotel’s restaurant offers authentic Portuguese food. This restaurant has large bay windows and leather chairs, and locally-sourced ingredients are used in the kitchens. The wine cellar is located next to the restaurant and is decorated in shades of ochre. The cellar has several galleries where guests will be able to taste a variety of local wine, including the Alvarinho and Loureiro wines made from green grapes. The Whitebox gallery is located on the hotel’s territory. This gallery organizes temporary exhibits by local and international artists. 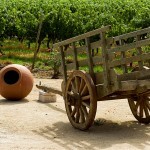 Wine tasting tours and food tasting tours are organized each afternoon. This hotel has a gym, a terrace and a room filled with boardgames and video games. Guests will be able to enjoy spa treatments and massages. The spa has a sauna and a Turkish bath. There is WiFi in the common areas and guests will be able to enjoy WiFi in their rooms for an extra charge. The hotel offers a shuttle service from and to the airport, and can organize trips around the region. The hotel organizes many food and wine related events. There are several conference rooms which can be transformed into galleries for cultural events. Family events can be celebrated at the restaurant and in the wine cellar. The Whitebox gallery hall is ideal for themed parties and art exhibits. When there are no exhibits, this hall is used by guests who want to play pool and enjoy wine-tasting afternoons. The hotel is located in the rural town of Caminha, on the banks of the Minho river, around two kilometers away from the Atlantic Ocean. This town has views towards the hills and estuaries, and guests will be able to visit the nearby forts. The historical town center is located a short distance away from the hotel. There is an ancient church and a Renaissance fountain on the main square. The city center is filled with Gothic buildings and medieval forts. The Caminha Igerja Matriz church and Santa Tecla Celta mount are located close by. Guests will be able to relax on the beaches of Moldeo do Minho. The Spanish region of Galicia can be seen from the banks of the Minho river. Hiking and trekking are popular sports in the region. 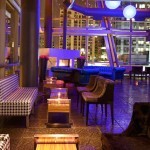 theWit Hotel is located in Chicago, in the United States. The hotel is known for its halls filled with murals, bathrooms with their own in-room spas and restaurants that serve craft beer. There are 247 double rooms and 36 suites at this hotel. 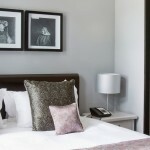 Each room has a large double bed, a bathroom with spa features, white furniture and colourful decorations. Each room has WiFi and all were designed to be eco-friendly. There are touchscreens where guests will be able to set the alarm, control the room’s settings and see if there have been any changes in their flight schedule. This screen is connected to the television set and the iPods dock. All bathrooms are equipped with spa products. There are rooms with a kingsize bed and rooms with two queensize beds, ideal for families. Some of the rooms are adapted to guests with mobility issues. theClassic are the hotel’s standard rooms. Some of these rooms have queensize beds and others have a large kingsize beds. The beds are covered with embroidered cushions. Each room has a tea and coffee making machine. theSpa rooms are slightly larger, with a bathroom with a bathtub and a shower. There are two types of these rooms: those with queensize beds have armchairs and those with a kingsize bed have a chaise longue that can be used by a third guest. Price is around 280€ per night. The hotel suites are twice the size of the standard rooms. The suites are located on the top five floors of the hotel and are known for their views towards the city. Each suite has a kitchen where guests will be able to cook. The bathrooms have a bathtub, a separate shower and spa products. 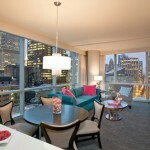 All suites have a lounge area with a sofa bed and views towards the Chicago river. Part of the suites have city views. The Junior Spa Suites have a kingsize bed, a lounge with a sofa bed, a kitchen and floor-to-ceiling windows. These room have views towards State Street, one of the city’s main streets. Each bathroom has a large bathtub and a shower. Price is around 300€ per night. theLuxury spa are large suites where guests will be able to enjoy a variety of spa treatments. Each suite has a kingsize bed and a lounge area with armchairs and sofas. The lounge has access to the kitchen. The bathroom has a large hydromassage bathtub and a shower. Some of the suites have views towards Chicago river, and others have views towards Lake Michigan. theParamount Spa suite is a large suite with several rooms. There is a room with a kingsize bed and a living room with a sofa bed, an armchair and a flat screen television set. The kitchen has a dining table. 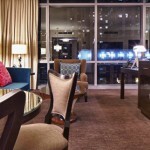 This suite is known for its views towards some of the city’s most famous landmarks: Lake Michigan and Millenium Park. The suite has two bathrooms, one with a bathtub and the other one with a bathtub and separate shower. This suite can be transformed into a family room by connecting to the adjacent double room, which has a kingsize bed and another bathroom. The suite has a price of 400€ per night. The bar and lounge Roof is located on the 27th floor. The lounge is ideal for enjoying cocktails with views towards the city center. The roof terrace offers sushi and several international dishes. There is a pastry shop where churros are served. Another dining option for guests is to enjoy dinner in one of the bungalows that have a fireplace. The State and Lake Chicago Tavern is another place where to grab a bite. This bistro is known for its brunches, which are served at noon. Breakfast, lunch and dinner can be enjoyed at this tavern. Craft beer made at the hotel is served here. The hotel’s main hall is decorated with a mural that is a collection of quotes by famous politicians and poets aptly named The Wit. The hotel has its own spa, Spa@theWit, which has four treatments rooms for massages. Guests will be able to celebrate conferences and events at one of the hotel’s many halls. The main conference room is Lincoln Boardroom. Screen Room is a multimedia hall ideal for large conferences. Private events can be celebrated at the Roof lounge bar and the nearby Phoenix lounge. 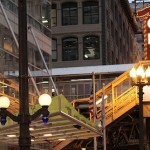 The hotel is located a short distance away from the center of Chicago. Guests will be able to enjoy the city’s cultural scene, take strolls in Millennium Park and visit the many shops located on Michigan Avenue, one of the city’s most popular streets. There are several art museums and galleries located close to the hotel. The Le Pavillon Hotel is located in New Orleans, in the state of Louisiana in the United States. This colonial building has large rooms decorated with antique furniture. The hotel has several types of rooms. All rooms are double rooms with a private bathroom, and each one has colonial furniture and paintings. Each room has two chairs with high backs, a wooden round table and colourful cushions. A bathrobe is provided for each guest in the bathroom. Bathrooms have stone counter tops. All rooms have WiFi access. The Leisure King rooms are studio rooms. Each room has a kingsize bed and a living room area with a coffee table, a sofa and three large windows. Each room is decorated in bright colours and antique-style furniture. The rooms have large wooden wardrobes, and the television set is located inside the wardrobe. 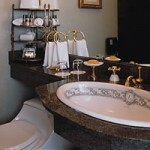 The Mallard suite is one of the hotel’s largest suites, with a large bathroom with a jacuzzi and a decorative fireplace. The room has a kingsize bed and carved, wooden decorations. There are several themed suites at the hotel. The Contemporary suite has Imperial French decorations, two large rooms with kingsize beds, two bathrooms and a lounge with a decorative chimney next to the bar area. The Oriental suite has two double rooms. Each room has a queensize, four-poster bed and a private bathroom. The lounge has a marble fireplace and a grandfather clock standing next to oriental vases. The Art Deco suite is a two-room suite. Each room has a queensize bed, a marble bathroom with a claw-foot bathtub and sinks on pedestals. 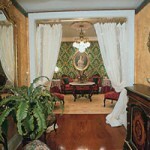 The Victorian suite is a large two-room suite with two bathrooms. This rooms has a large chandelier that used to hang in the lobby and hand carved furniture. Price varies between 102€ per night for a Deluxe Queen room and 115.45€ per night for a Deluxe King room. The Leisure King rooms have a price of 17381€ per night. The Art Deco, Governor’s and Oriental suites can cost up to 451€ per night. The European Palace suite is a one-room suite. 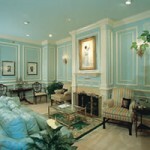 This suite has palatial decorations and a large carved fireplace. The room has a four poster bed with velvet curtains. The marble bathroom has a double sink covered with gold leaf, marble counter tops, a double shower, crystal chandeliers and a stained glass window. 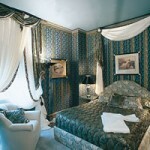 The European Palace suite has a price of 603€ per night. The Executive suite is one of the largest suites, with two double rooms and two bathrooms. There are two living rooms and a dining room, and this suite can be rented out for private events. Price per Executive suite is around 1134€ per night. The Presidential suite is a large suite filled with antiques, chandeliers and carved wooden furniture. This suite has two large double rooms, each one with its own bathroom. The suite has its own meeting space, a living room and a dining room. The Presidential suite has a price of 1286€ per night. The hotel has several dining halls where guests will be able to enjoy lunch and dinner. 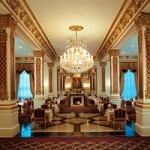 The Crystal room, decorated with chandeliers, is a large breakfast room where guests are offered pancakes with bananas. A selection of fruit and seafood is served during lunch. Traditional French dishes are served at dinner, adapted to the state’s local ingredients. 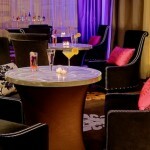 The Gallery Lounge is known for its selection of cocktails. This lounge has a large marble balustrade decorated with bronze and onyx. The bar area is decorated with three arches. The hotel’s swimming pool is located on the roof. There is a gym and a jacuzzi next to the pool, close to the private cabins. Guests will be able to enjoy views towards the city from the rooftops. Dinners can be served on the roof. The lobby is decorated with antiques and paintings. Czech chandeliers hang from the ceiling, and bronze cherubins decorate the halls. The lounge has a variety of board games and armchairs for guests. The hotel has several conference rooms, ranging from the Josephine Hall and the Napoleon Hall to the grand Versailles hall. These halls are decorated with antique chandeliers and paintings, and can be used for a variety of events. The hotel can organize conferences and other events. There is a catering service which offers personalized menus and a butler service. There is a team in charge of the events that take place at the hotel. The hotel is located in the French Quarter, one of the most famous neighbourhoods of New Orleans. Guests will be able to visit one of the many music halls located on the nearby Bourbon street and the antique dealers located on Royal Street. A short distance away guests will find the NFL New Orleans Saints Stadium and the New Orleans Arena. During the celebration of the Mardi Gras guests will be able to watch the carnival from their balconies. The Grace Beijing Hotel is located near the center of Beijing, in China. The hotel rooms are decorated with antique Chinese art, and guests will be able to explore the nearby art galleries. The hotel has thirty double rooms, and each room has its own bathroom. The rooms are decorated in an art deco style, with statues designed by local artists. 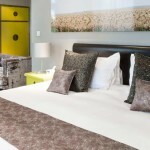 Each room has iPod docks, flat screen television sets, coffee and tea making machines and WiFi. The lobby is decorated in neutral colours. The rooms are decorated in brighter colours, ranging from red rooms to black rooms featuring decorations from the Ming dynasty. The Artist Studio rooms are the hotel’s standard rooms. Each room has an individual bed and a private bathroom. These rooms have coffee and tea making machines and bathrobes in the bathrooms. These rooms are located on the second floor and have views towards the north and the hotel’s patio, decorated with graffiti. The Superior rooms are located on the hotel’s second and third floors. Each room has a kingsize bed and a bathroom with a shower. The rooms face the south and have views towards the terraces. These rooms are decorated in neutral colours with bright paintings by local artists. The Deluxe rooms are double rooms with a bathroom that has a marble bathtub, a shower and a double sink. There are several rooms with two twin beds and a couple of rooms with a kingsize bed. Each room has a separate living room with a sofa and a table. These rooms are decorated with colourful paintings. The VIP suites are located on the hotel’s third floor. There are suites with twin beds and suites with a large kingsize bed. Each suite has a double room and a separate living room with a tables, chairs and a sofa. 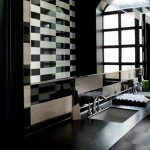 The marble bathroom has a bathtub, a separate shower and two large sinks. These rooms can be transformed into triple rooms, and all rooms have views towards the main patio, which is decorated with murals. The Grace Suite is a bright suite decorated with large clay pots. The room has a kingsize bed and a carved wardrobe. The living room has a table, chairs, armchairs and a sofa. There are floor-to-ceiling windows and decorations by local designer Chi Peng. 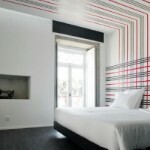 Price per double room is around 116€ per night, and price for a night in the Grace suite is around 196€ per night. Guests will be able to enjoy breakfast at the hotel’s restaurant, on the terrace and in their rooms. The hotel has two restaurants known for their variety of seafood-based dishes and brunches. The Yi House is the hotel bistro, located on the grounds of the ancient Yi House. The bistro offers a variety of seafood and is known for its wine cellar. The star of the menu are the Alaskan King Crab legs, served with a variety of sauces. Bar 798 is one of the most popular bars in the city, known for its selection of cocktails. After enjoying a cocktail guests can relax on the terrace and try a variety of Asian and Mediterranean dishes. The hotel has a gym where guests will be able to practice several sports. 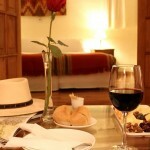 The hotel can organize trips around the region and guided tours for guests who want to visit nearby monuments. This hotel has a large conference hall where a variety of events can be organized. There is a business center with several laptops and WiFi access on one of the floors. The Yi House bistro can be used for private dinners. This hotel is located in the 798 Art Zone of Beijing. The building where the hotel is located used to be a glass factory, and was later on transformed into a large art gallery. A short distance away from the hotel guests will find several ancient temples. Guests will be able to visit the Forbidden City, which was built by the third emperor of the Ming dynasty. The Sylvia Beach Hotel is located in the state of Oregon, in the United States. The hotel’s decorations are set around literature, and the rooms are dedicated to authors. This ancient mansion has several rooms. Each room has a large double bed, a private bathroom and decorations dedicated to a variety of literary pieces and authors. One of the rooms is dedicated to Amy Tan. Another room was designed using designs by Julio Verne. There is a room dedicated to the Cuckoo’s Nest. All rooms have shelves filled with books. There are no television sets and no WiFi. The Novels rooms are the hotel’s standard rooms. The Gertrude Stein room has a large double bed, several pieces of art and views towards the gardens. 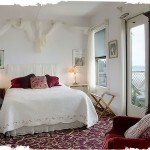 The Oscar Wilde room is a twin room with two beds, and has a rocking chair with views towards the gardens and the rooftops. The Robert Louis Stevenson room is a large, wheelchair-accessible room. The room has a queensize bed and a bathroom larger than the ones in other rooms. The Tolkien room, decorated in shades of green, has a four.poster queensize bed made from wood. This room has views towards the garden and a patio that leads to this garden. The Classics room is located next to the beach. Each one of these rooms has a fireplace, a private terrace and ocean views. The Agatha Christie room is filled with the author’s novels and has a queensize bed, a sofa bed for two and a bathroom. Colette is a French-style room, decorated with rustic decorations form the French countryside. This room has a queensize bed and an individual bed. The Mark Twain room is another room filled with novels. It has a fireplace next to the private terrace. The main feature of the room is a large queensize bed. The bathroom has a claw-foot bathtub and a separate shower. The Best Sellers are located on the first two floors of the hotel. The Alice Walker room has a double bed. Guests who stay at this room will be able to enjoy views towards the lighthouse and the ocean. The Amy Tan room is located on the second floor. This room has ocean views, a queensize bed and a private bathroom. The views are towards the lighthouse. 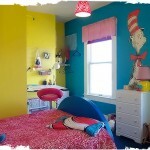 Dr. Seuss is another double room with a double bed, filled with colour and murals of his most famous characters. The Emily Dickinson room has a queensize bed, a bathroom with a claw-foot bathtub and Victorian decorations. This room has views towards the beach and the ocean. The F. Scott Fitzgerald room is decorated in dark colours. There is a double bed in the center of the room and a large private bathroom. 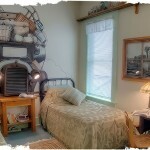 The Hemingway room has a large queensize bed and a private bathroom. This room has views towards the lighthouse and the ocean. The Jane Austen room is a rustic room. There is a double bed and an armchair from where guests will be able to enjoy ocean views. The JK Rowling room has a double bed, red decorations and antique-style furniture. The Lincoln Steffens room has a double bed, a heavy wooden chest of drawers, a bathroom and views towards the north. The Shakespeare room has a queensize, four-poster bed and a large bathroom. This room has garden views. 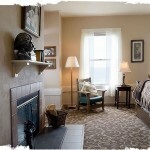 The nearby Steinbeck room has two twin beds and a decorative fireplace. 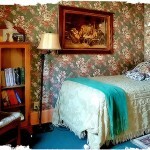 The Virginia Woolf room is a room with a queensize bed, an iron-wrought headboard and a bathroom. The Novel rooms have a price of 87€ per night. The Best Sellers rooms cost 120€ per night. 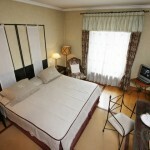 The larger, Classic rooms have a price of 165€ per room per night. Price includes breakfast. There are eight table in the hotel’s dining room. Breakfast and dinner are served in the dining room. One of main attractions of this literary-themed hotel is its reading room. The room has an ancient, large fireplace, many armchairs and bookshelves filled with novels and board games. The hotel offers complimentary tea and coffee in this room. Wine with spices is served in the afternoons. The hotel’s third floor holds a large library filled with novels. There are many armchairs and sofas, large desks and windows with ocean views. There is a loft area filled with board games. The loft has views towards the beach. Next to this room guests will find the coffee room, a room with several coffee tables and magazines. A variety of coffee is served in this room. Events of up to 48 people can be celebrated at this hotel. 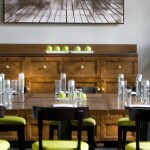 The hotel can organize conferences and private dinners in the restaurant and in the hotel’s common rooms. There is no WiFi at this hotel, and phones cannot be used in the reading rooms. Guests will be able to interact with Shelly, the hotel’s resident cat. The hotel is located in the town of Nye Beach, in Oregon. Guests will be able to enjoy long walks by the beach and visit nearby towns. The ocean can be seen from almost every room at the hotel. Several steps away at the hotel guests will find a sandy beach. Guests can visit the Yaquina Head lighthouse, one of the area’s landmarks.